After announcing the Moto Z2 Play this month, Motorola is all set to launch another new Smartphone on June 21 at an event in Brazil. 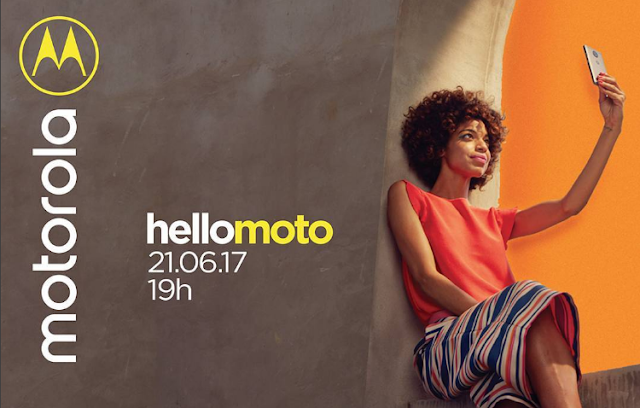 As per reports Motorola has sent out media invites for the event to be held in Brazil on 21.06.17 at 19h. However, there is nothing revealed on what Motorola will launch at the event. However, the teaser shows the image of Moto G5 looking Smartphone, which is an indication that Motorola will probably announce the Moto E4 series or Moto GS series. That said, We will let you know once more information is available.